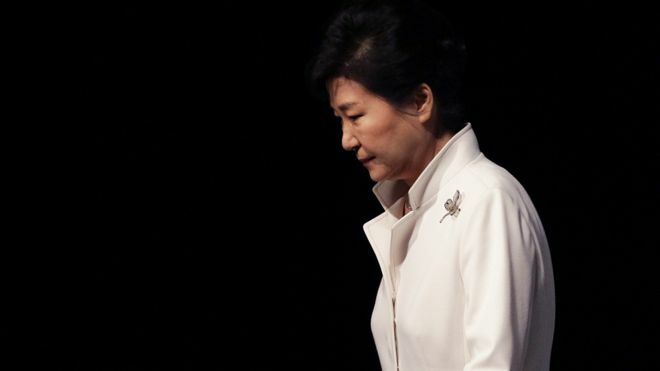 Lord, today we pray about the controversy surrounding South Korea’s president, Park Geun-hye. Lord, it is so hard to have our leaders disappoint us. It is disheartening when they break our trust. Heavenly Father, we ask you to bring out the truth regarding President Park and her involvement with the corruption scandal currently being investigated in South Korea. Please reveal whether she was complicit or innocent. We pray about the impeachment process that is likely to happen in the very near future. Please help each lawmaker vote his or her conscience, not letting politics or personal gain influence the decision, but truly considering the best for the nation and, of course, the truth. We pray for your hand of direction to be evident in the nation of South Korea. May people seek your leadership. In Jesus’ name we pray, amen.